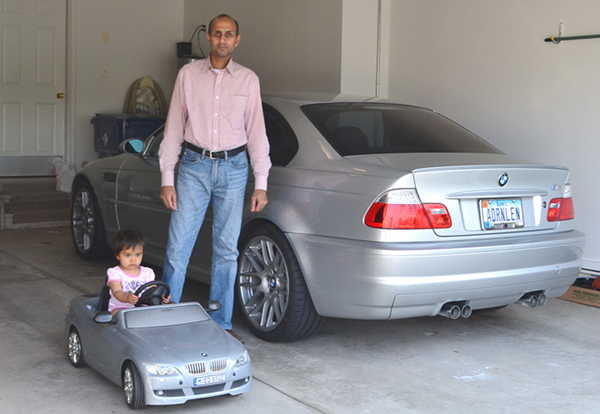 1997 M3 Sedan, 2000 323i, 2006 M3 Coupe, 2013 M3 Coupe and my 18-month-old owns a 335ci convertible. What made you decide to purchase your first BMW? I used to live across from Zimmerman BMW in Cedar Rapids and rode a bus to work every day. During bad winter weather, their service staff would always invite me to come in and check out their “Stuff” while I waited for the bus. They also didn’t miss the opportunity to point out that public transportation didn’t have heated seats and eventually sold me my first BMW. Do you have any fun stories about your car? Back in 2004, we drove over 4,000 miles in little over two weeks covering 10 states in the middle of winter. From Michigan to Alabama, our 323i performed flawlessly and in spite of being hectic, it was an enjoyable experience. 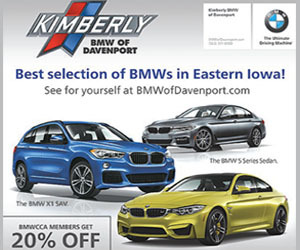 What is your favorite BMW Club event? A turbo version of a famous brand from Stuttgart.